No one plans to get in an auto accident, but sometimes life surprises you, leaving you with pains that you didn’t have before. The good thing is, you can decide how you cope with the situation: a few visits to your Bonita Springs, FL chiropractor, Dr. Green, can allow you to fix the discomfort. While quite a few of injuries can develop as a result of a car accident, some of the most frequent include whiplash (which can create pain in the neck and head); ruptured discs (resulting in back pain, sciatica, or neck pain); and spinal misalignment. Each one has the capacity to severely limit your capacity to accomplish daily activities free of pain and discomfort. 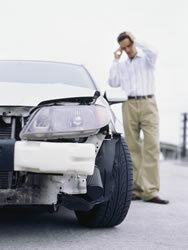 Dr. Green is practiced in the diagnosis and treatment of car accident injuries. After a thorough analysis of your injury and individual history, he will develop the best plan for you personally. Treatments could consist of chiropractic adjustments, instrument-assisted manipulation, light soft tissue therapy, exercise rehabilitation, and various other natural methods. Whereas some health care professionals are focused primarily on relieving the symptoms, Dr. Green doesn't stop there. he focuses on finding – and rectifying – the cause of the symptoms. he realizes that the right relief is long-term, which is what he sets out to do for his patients in the Bonita Springs, FL area. What If You Didn't Get Injured In the Car Accident? Even if you do not feel as if you were hurt in the car wreck, a visit to your chiropractor is suggested. Some injuries are not felt right away, allowing them to worsen until one day down the road they are more challenging to treat. Don’t let that happen to you. Contact our office in Bonita Springs, FL. Dr. Green will make sure all is aligned so that you feel your best today, tomorrow, and always!